Michael van Gerwen finished top of the Premier League Darts table for the second consecutive year after ending the league phase in style. The Dutchman, who will defend his title at London’s O2 next Thursday, defeated Peter Wright 7-5 in Brighton – with the aid of a sensational 110 average. 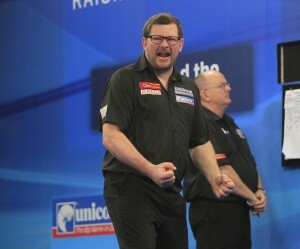 James Wade and Paul Nicholson will take part in the inaugral Perth Darts Masters in August after being handed Wildcards by the PDC. 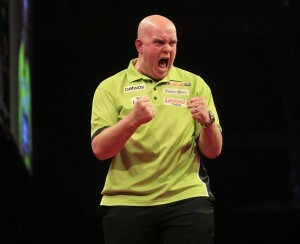 Michael van Gerwen took a giant step towards finishing top of the Premier League Darts table for the second year running with a fine victory against his closest rival in Newcastle. Robert Thornton enjoyed an excellent weekend in Wigan, where he won both of the Pro Tour events thanks to some stunning displays. The Scottish ace, who has leapt back up to ninth on the PDC’s Order of Merit after scooping £20,000 prize in money in 48 hours, defeated Keegan Brown and Terry Jenkins in the respective finals of Players Championships 7 and 8. Michael van Gerwen kept his Premier League Darts title defence on course in Manchester, where a win over Dave Chisnall effectively sealed his place in the play-offs. The world number one claimed a 7-4 triumph against Chisnall on Thursday to remain top of the table ahead of Dutch compatriot Raymond van Barneveld, who has also all but secured his place at London’s O2 Arena in May. van Barneveld saw off Adrian Lewis 8-3, while Robert Thornton picked up a point from his two games as he drew with Gary Anderson after losing 7-5 to Peter Wright despite hitting seven 180s in the defeat. 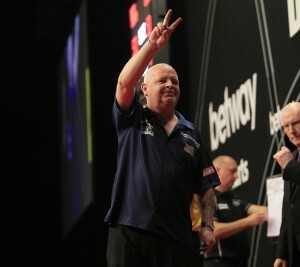 Phil Taylor shared a draw with Anderson in the evening’s other match. 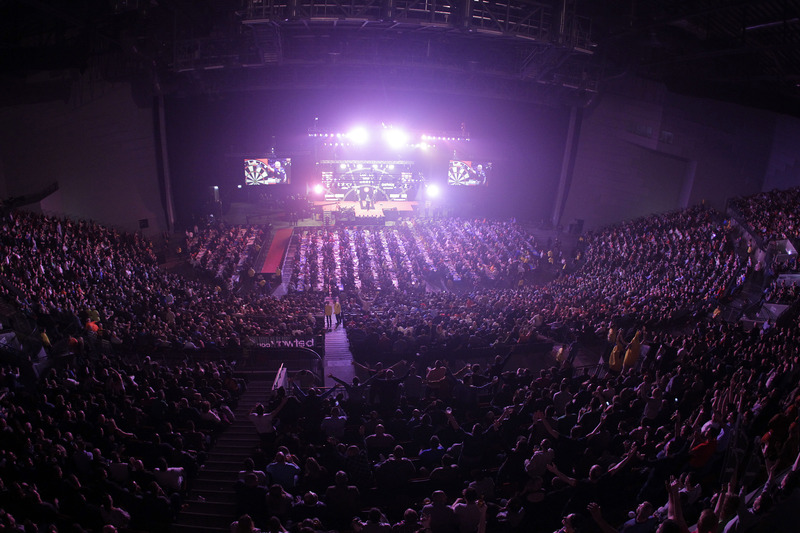 Match reports, news and updates will be posted here and on the players’ official websites throughout the 2014 Premier League Darts. 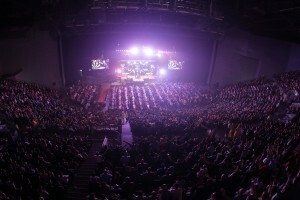 Visit our online shop www.dartshop.tv for exclusive event tickets and official player merchandise. Robert Thornton won his first title of 2014 when he edged out Ian White in the final of Players Championship 6 at Robin Park, Wigan on Sunday. Thornton, who defeated Phil Taylor to reach the final, came back from 4-2 and 5-4 down to see off White and claim his eighth PDC Pro Tour title. James Wade enjoyed a productive weekend in Wigan, reaching the quarter-finals on both Saturday and Sunday, while there was also a return to form for former World Youth Champion James Hubbard, who defeated Wes Newton, Michael van Gerwen and Mervyn King en route to Saturday’s semi-finals. Dutch ace Vincent van der Voort produced a strong run to the quarter-finals of Sunday’s event. Michael van Gerwen strengthened his position at the top of the Premier League when he claimed victory in an excellent match against Robert Thornton in Sheffield on Thursday evening. The defending champion had trailed the Scotsman, who missed double twelve for a nine-darter, 3-2 at one stage but hit back to claim a 7-5 success, kicking off the decisive leg with back-to-back 180s before going out in eleven darts. Robert Thornton avoided elimination from the Premier League despite his defeat to Phil Taylor on Thursday, as relegated Simon Whitlock and league leader Michael van Gerwen shared a draw in Cardiff. Thornton’s survival was secured when Dave Chisnall earned a 7-5 victory over Wes Newton, which saw Newton’s campaign end early for the second succesive season. ‘The Thorn’ went on to lose out to world number two Taylor. van Gerwen and Whitlock served up the match of the evening with a 6-6 draw, in which both players took out enormous finishes. Adrian Lewis and Raymond van Barneveld also drew, while Peter Wright edged out Gary Anderson. Following the elimination of Whitlock and Newton, the remaining eight players will compete in Sheffield next week, with fixtures set to be released in due course.